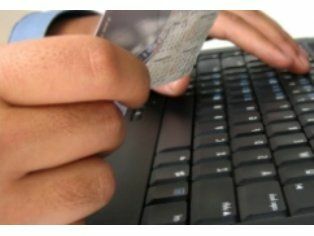 Scots are the leaders when it comes to online shopping, a new survey has revealed. The average Scot spends £701 per year on online purchases, against the national average of £609. The popularity of catalogues is said to be fuelling the online shopping boom across the UK. The Royal Mail research revealed that 61 per cent of UK consumers have consulted a catalogue before making online purchases and four in five shoppers (83 per cent) regularly use catalogues before buying online. The results also show that Northerners are leapfrogging Southerners in online spending, with people in the North West spending an average of £627 this year so far compared with online shoppers in the South West, who spent on average £549. Catherine Campbell, head of multi-channel retail at Royal Mail, said: "Online retail continues to grow at a phenomenal rate and the intrinsic link between the rise in spending and the use of catalogues is only too clear. "Consumers are demanding greater choice and convenience about how, where and when they buy their goods, and the marriage between online and catalogues is a thriving relationship."